Green Valley Arizona is synonymous with golf! Whether you are a truly serious golfer or just want to explore a new sport, golf is simply a way of life for many residents in this area. There are 6 public golf courses along with 3 private golf courses in the immediate Green Valley area. The daily fee courses have excellent rates ranging from about $20 to $69, cart included. Golf /dinner packages are also available at Torres Blancas and Canoa Ranch – rates vary by season. Additionally, there are numerous golf courses in Tucson, just a short 23 mile drive to the north. Several championship courses such as Star Pass, Raven and El Conquistador as well as the locally popular El Rio and Silverbell Municipal Golf courses are just of few of your choices. There are approximately 2 dozen courses in Tucson to choose from – see list at bottom. Driving south from Green Valley, one could play at Kino Springs or Rio Rico Resort and Country Club in Rio Rico or to drive to the border town of Nogales, AZ and golf at Palo Duro Creek Golf Course. As you can see – your golfing options are plentiful and the courses are spectacular! This Snyder designed course plays 6394 from the regulation tees. It is a par 72, 18-hole course and holds the title as the oldest course, built in 1963. It has a driving range, club rentals and a snack shop and lounge. 520-625-4281. The Tortuga Golf Course is operated by Haven and just adjacent to it. It is a short, Par 3, nine-hole course with distances ranging from 50 – 90 yards; walk only course. No reservations taken. This course opened in 1989 and was designed by golf architect Ken Kavanaugh. This championship course plays 6965 yards from championship tees. It features a par 72, one-of-a-kind course that meanders through the high desert terrain with the Santa Rita Mountains providing a panoramic backdrop. In 2007 the course added another 9-holes. Amenities include a putting green, practice range, practice bunkers, driving range and pro shop. Food is available at the full-service Quail Creek Grill & Lounge. 520-393-5802. This course opened in 1989 and was designed by Arthur Hill. This challenging course plays 6704 yards from regulation tees. It features a par 71 desert layout and has four sets of tees offering a challenge to golfers of all abilities with a maximum yardage of 6997 from the tournament tees and 5200 yards from the forward tees.. Amenities include a practice range and pro shop. Food is available at the San Ignacio Coyote Grill Restaurant and lounge. 520-648-3468. This Lee Trevino designed course plays 6978 yards from regulation tees. It is a par 72, 18-hole traditional Links style course that extends along the Santa Cruz River and the largest pecan orchards in Arizona. There is a pro shop, club rental, driving range, putting green and chipping greens on the premises. 520-625-5200. Originally designed by Fred Lawrence, this course is a par 71, 18-hole course playing 6575 yards. An additional 9-holes was added in 2006 with great challenges for all golfers. The resort boasts it has the finest practice complex in southern Arizona. This course is perhaps most noted for the lake at the 4th hole, which was specifically created for the movie “Tin Cup” with Kevin Costner. 98 Hacienda Suites. Casitas Suites and Posada Rooms available; Full services spa; Outstanding restaurants - Stables Restaurant and Dos Silos Restaurant. 520-398-2211. 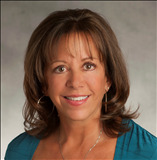 Laurie Lundeen has consistently been the Top Selling Agent in Green Valley as well as being recognized as the #1 Coldwell Banker agent in the State of Arizona.